Big Bang Avatars Part VII! Big Bang Cartoon Avatars Part II! Hey guys, I have loads of new BIG BANG avatars just for you! These avatars are from the newest BIG BANG cartoons/comics version called BANGS! G-Dragon, TOP, Seung-Ri, Dae & YB are soOOooOO cute in their cartoon/comics version but of course they’re cuter in real life 🙂 ! Enjoy them all! These are my valentine gifts for all BIG BANG fans! 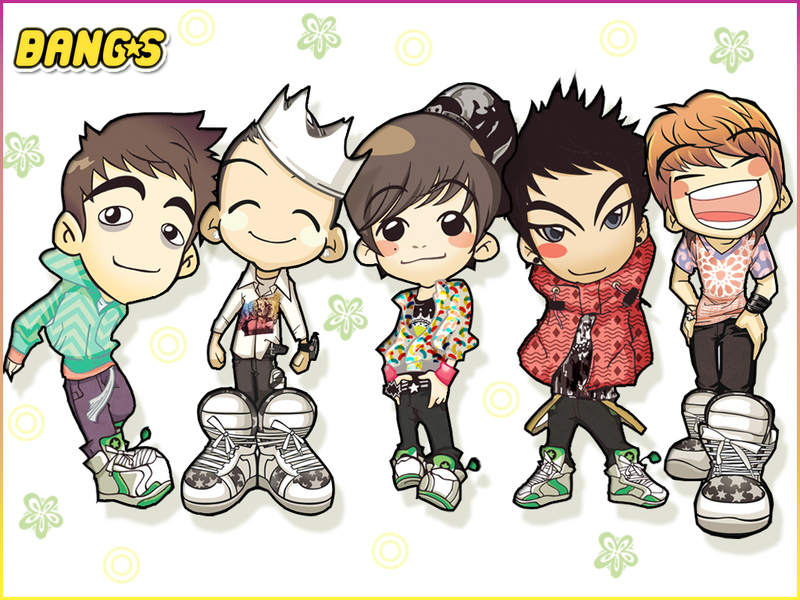 BIG BANG comics/cartoon version is soOOOoooOO cute! haha..love them all..